38 year old Pagan female who lives in Florida with her guy (aka “Love”) and three cats, loves Disney, reads fanatically, tinkers in photography and believes growing up is overrated. Born May 16, 1977 and lives in the Tampa Bay Area of Florida. May 2011, found out I had nearly 3lbs of tumors in my uterus. Had a Total Laparoscopic Hysterectomy (TLH) on October 5, 2011. Decided to focus on running my artisan jewelry business, PhoenixFire Designs full time and have been doing so since November 2011. C’est moi, Miss M. Turner circa 2015 wearing a famous PhoenixFire Designs tree of life pendant featuring a blue flash labradorite full moon. I have been making jewelry as a hobby since 2000 and began selling it to fund the hobby since 2001. In 2006, I opened my etsy shop. I also have updates of my current jewelry, as well as examples of custom pieces on my website, www.TreeofLifePendants.com. 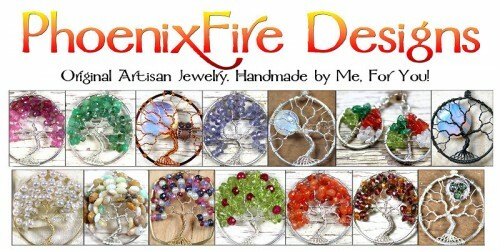 You can “Like” my PhoenixFire Designs page on Facebook to keep up with new listings, coupons and sales. I am very passionate about my jewelry and every single item is made 100% by my two hands from scratch. I am also a hobbyist photographer. I currently shoot with a Canon T4i and drool over various lenses (which can be found on my amazon wishlist.) I really enjoy macro photography but I just enjoy so much about it and there’s always something new to learn. I am a big reader and always have a book in progress. I prefer “urban fantasy” or what they often term “paranormal romance” but not the bodice ripper books, more the vampires, werewolves, witches in the modern world with a little bit of romance thrown in for fan service. LOL You can see what I’m reading on my Goodreads list. After 15 years together, my guy (“Love”) and I finally made it official privately though we plan on a small family wedding to allow our loved ones to celebrate with us sometime in 2014. 40 year old Pagan woman who lives in Florida with her guy and two cats, loves Disney, reads fanatically, tinkers in photography and runs her own handcrafted artisan jewelry business. Inadvertently became the face of Healthcare Reform in America by posting the (in)famous "I am Obamacare" image and sharing the story of her hysterectomy at age 34. 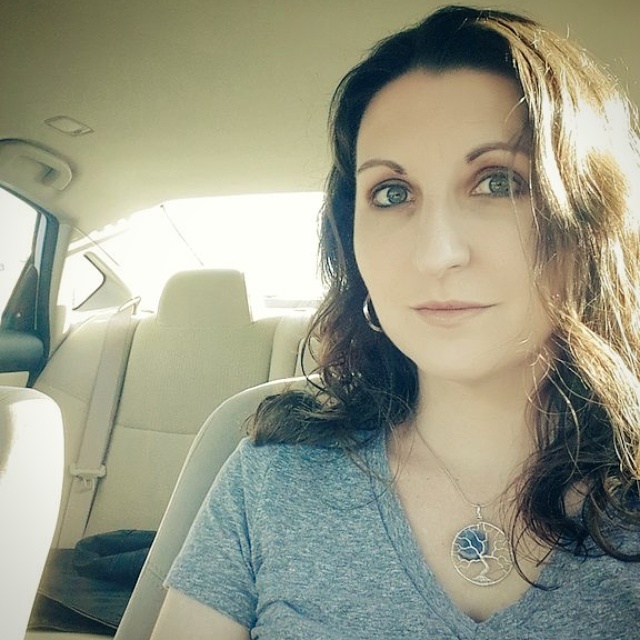 Now runs her own small business, PhoenixFire Designs, specalizing in handmade tree of life pendants, full moon tree of life necklaces, family birthstone jewelry, wire wrapped jewelry and more full-time. Our best friend passed away suddenly March 13, 2010. Five years later, it's still hard. The full story can be read here. October 2013 Update: Happy 2 Year Anniversary!! I'm amazed at how different life is two years later. Though the hardest thing I've ever been through in my life, I've grown so much as a result of having overcome such terrifying and daunting medical issues. In a weird way, I'm better for having experienced these hardships. I'm more sure of myself these days and more confident I can face life's challenges better. I have tried to turn this medical challenge into an opportunity and using this as a means to push forward with my small jewelry business and as a way to support myself again. Your continued support is appreciated right now and even links to my shop are appreciated. Thank you to everyone who's helped and spread the word. All of you helped make it possible for me to be here and healthy. Save $25 on Dreamhost Hosting! Get cashback on the things you were going to buy online anyway! I use Ebates personally and it's super easy. Sign up for free! I use and recommend them for extremely high quality, professional photo and art prints. I love snail mail. Wanna drop me a letter, a postcard, or a photo from where you live or your travels? Happy mail always welcome! My grandmother, aunt and sister are all breast cancer survivors. Please do self-exams, get yearly mammograms and help the fight to find a cure. Copyright © 1969-2019 Given Eyes To See All rights reserved.